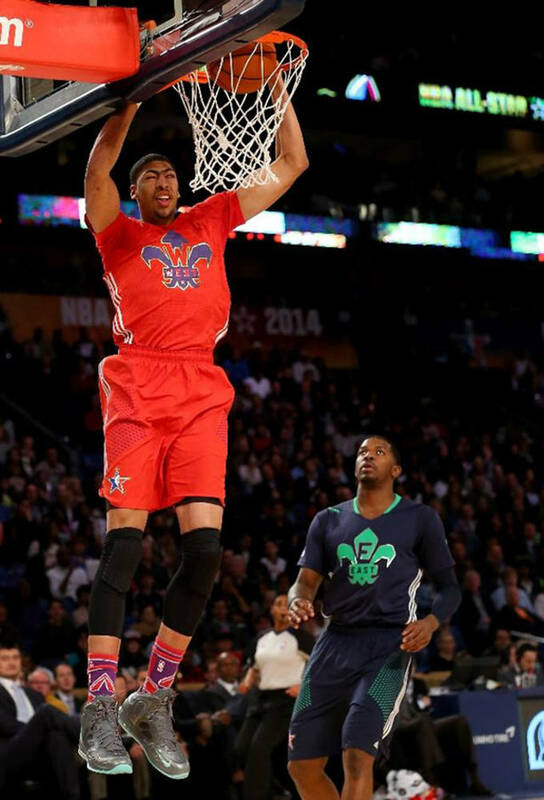 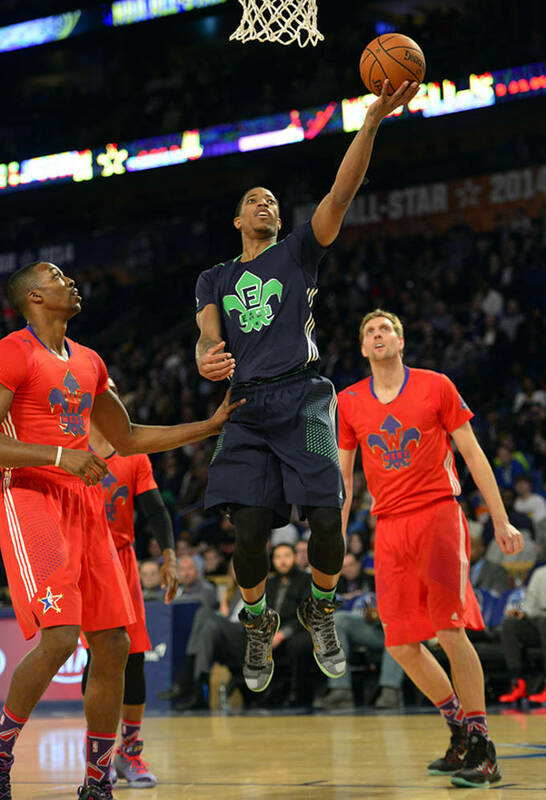 It was an All-Star affair in New Orleans with the best that the NBA has to offer playing in a fun up-and-down game. 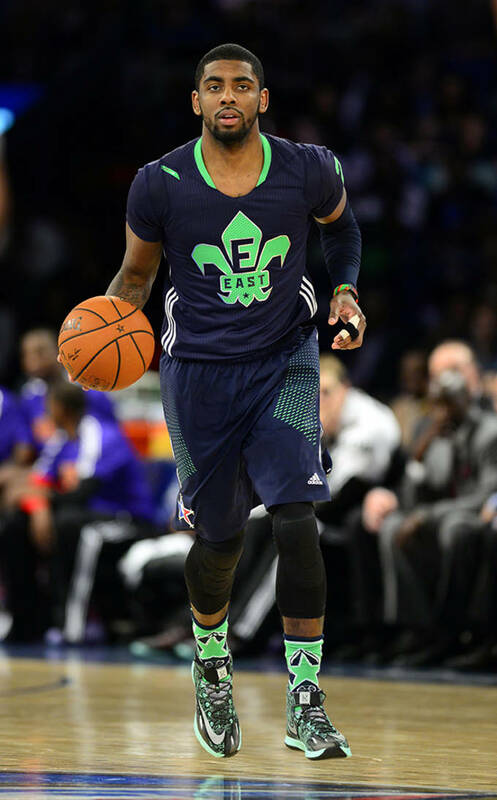 Kyrie Irving of the Cleveland Cavaliers taking home the MVP award after putting together a fabulous 31 points, 5 rebounds, and 14 assists. 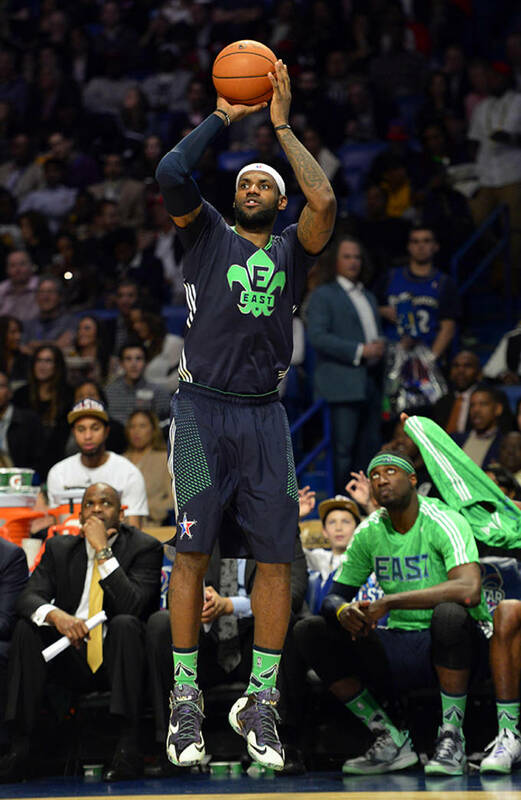 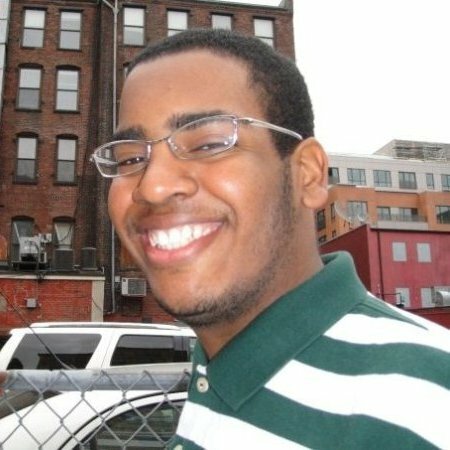 He had some help with Carmelo Anthony and LeBron James combining for 52 points to take the East to an astounding 163-155 victory over the West. 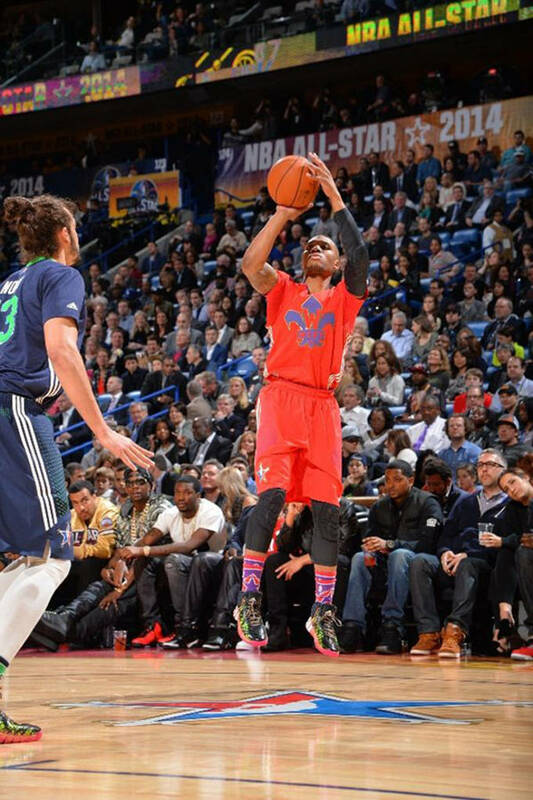 The game set the record for the highest combination of points from both teams in an All-Star Game at 318. 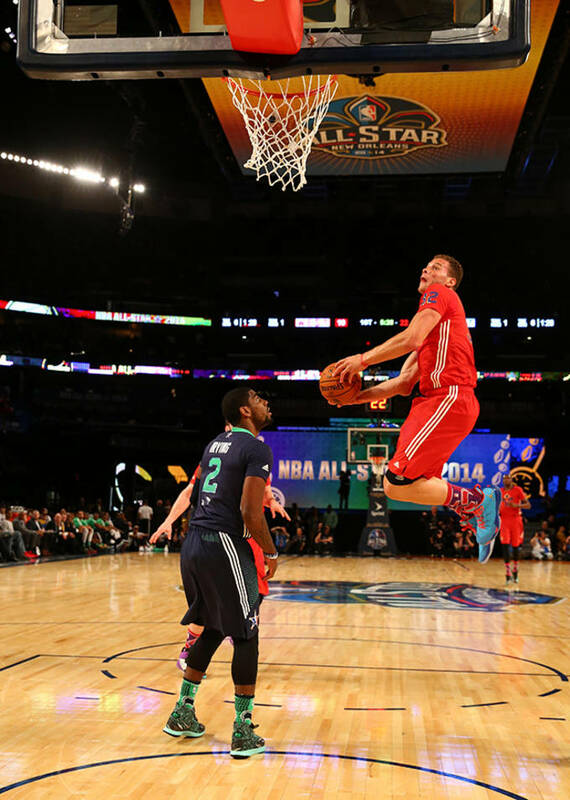 In the losing effort, Blake Griffin and Kevin Durant put on a show. 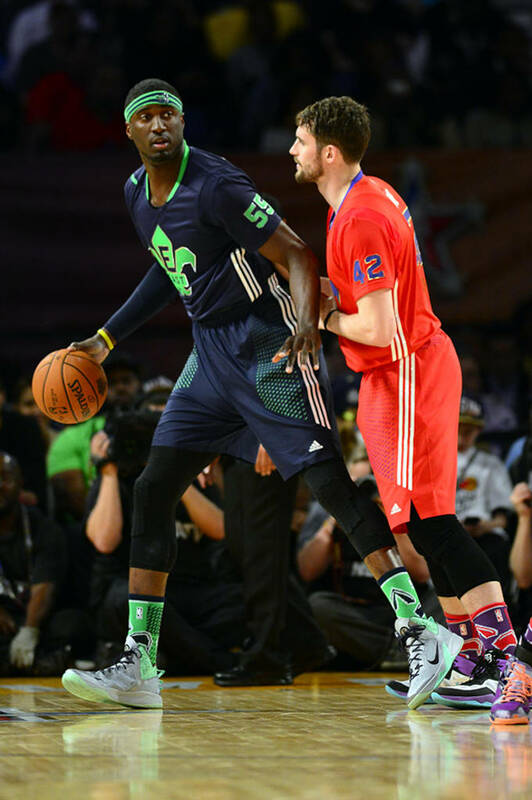 Both players scored 38 points in the loss and had a dunking exhibition throughout the contest. 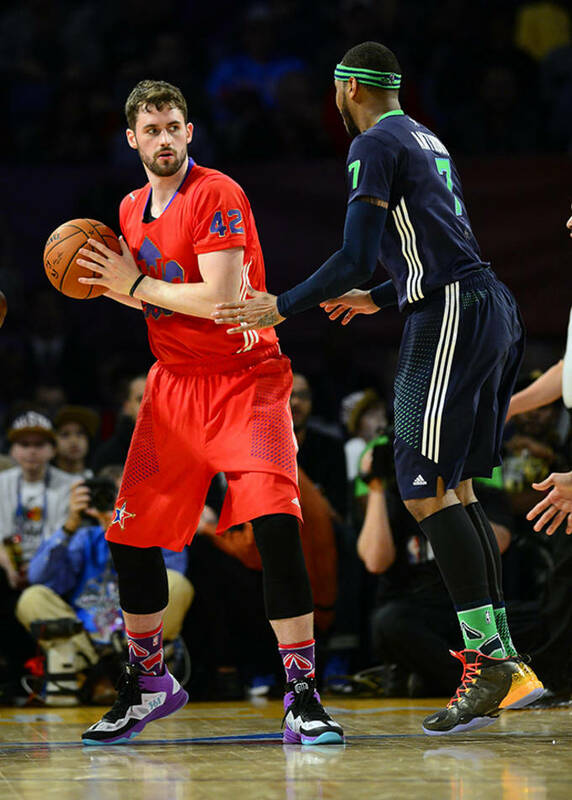 They set a record for most combined points in a game by teammates at 76. 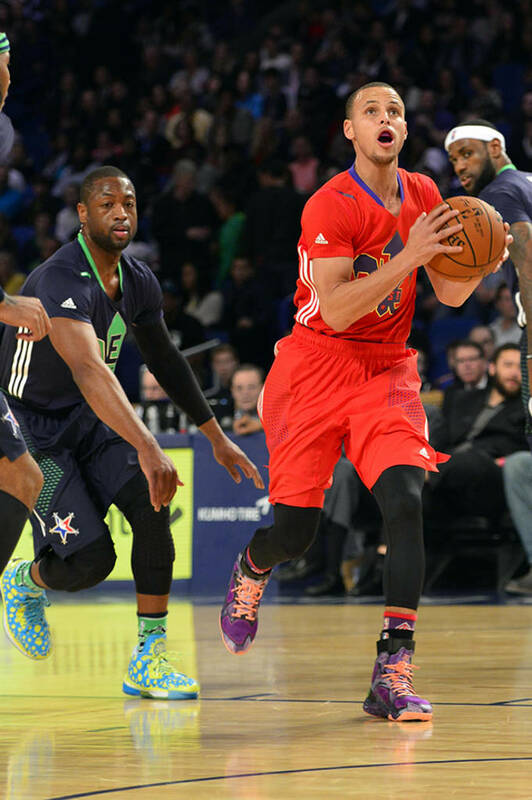 The East was down by double digits for a huge portion of the game but found a way to make a comeback late in the third quarter. 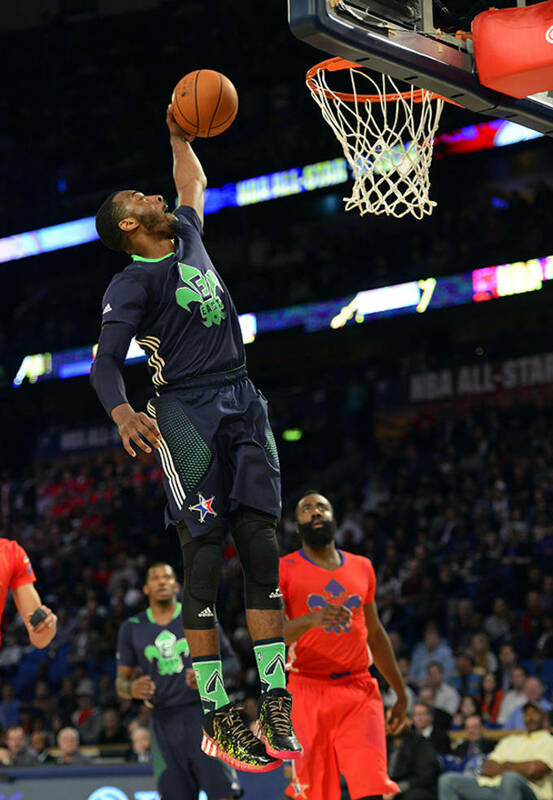 The fourth quarter got serious with Irving making a few dazzling threes and Anthony making a key three to give the East some breathing room. 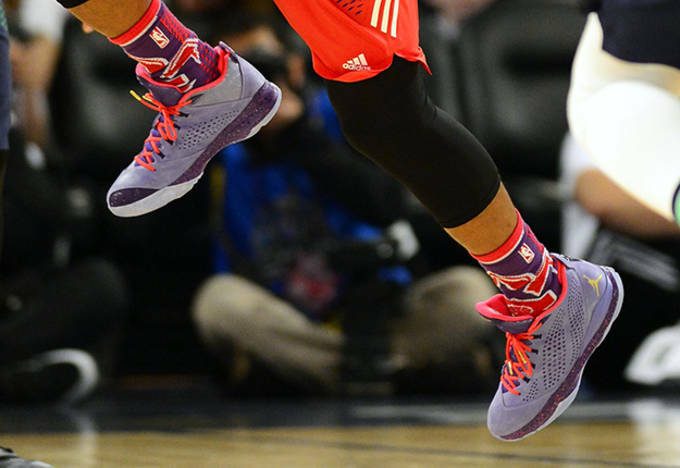 There&apos;s a lot to cover in shoes so let&apos;s get to it. 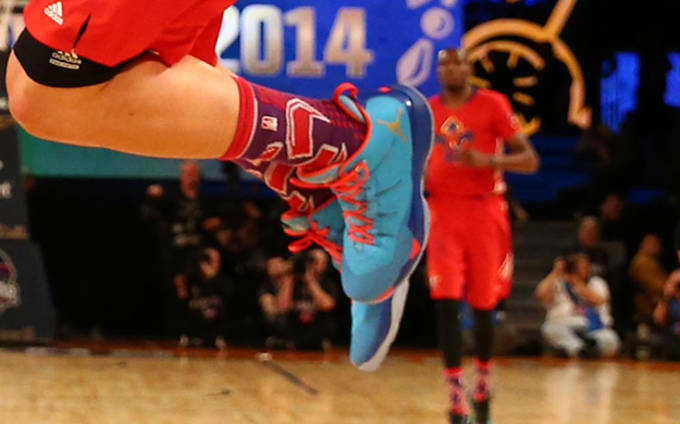 Before you check it out did you see this Steph Curry Finish? 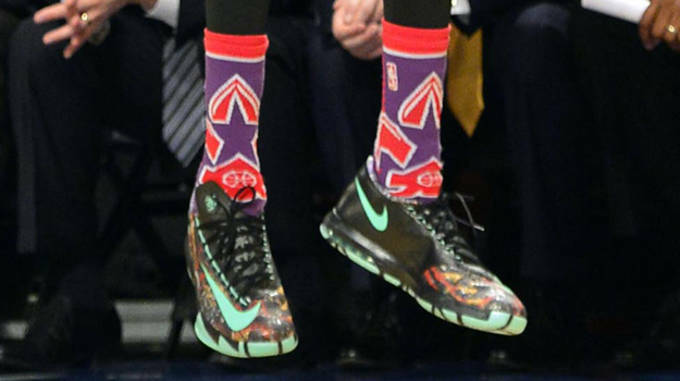 Absolutely ridiculous! 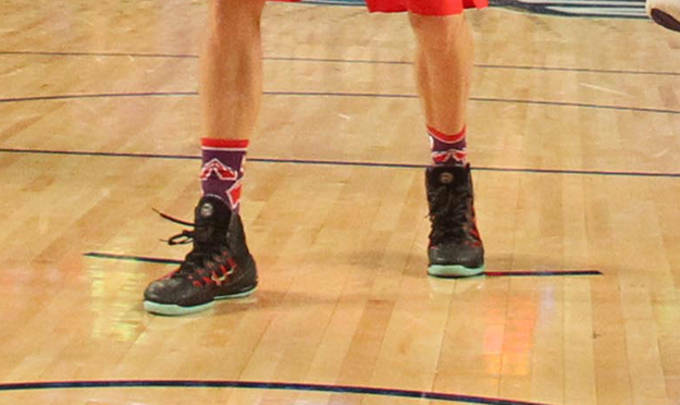 The Eastern Conference starting lineup featured a great collection of shoes. 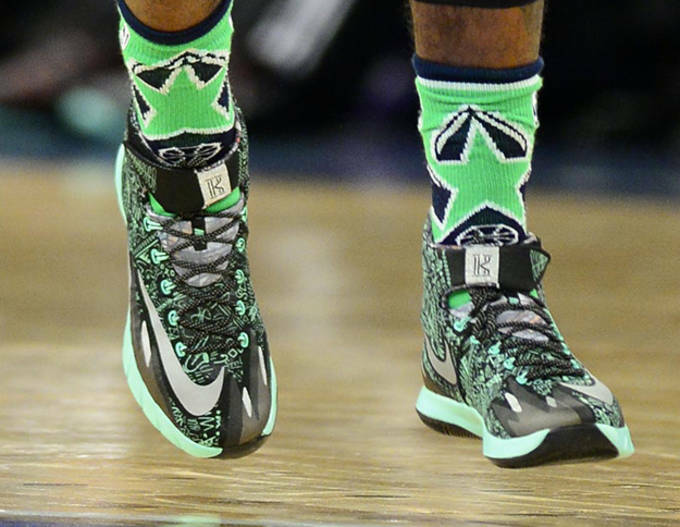 The Starting Five lapped it up during the game with All-Star Game MVP Kyrie Irving wearing an All-Star PE of the Nike Zoom Hyperrev. 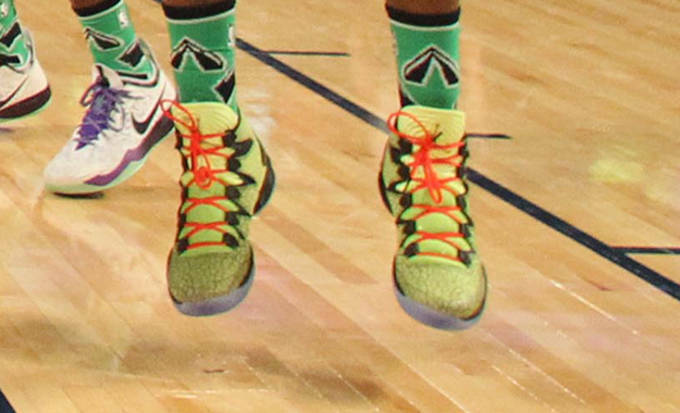 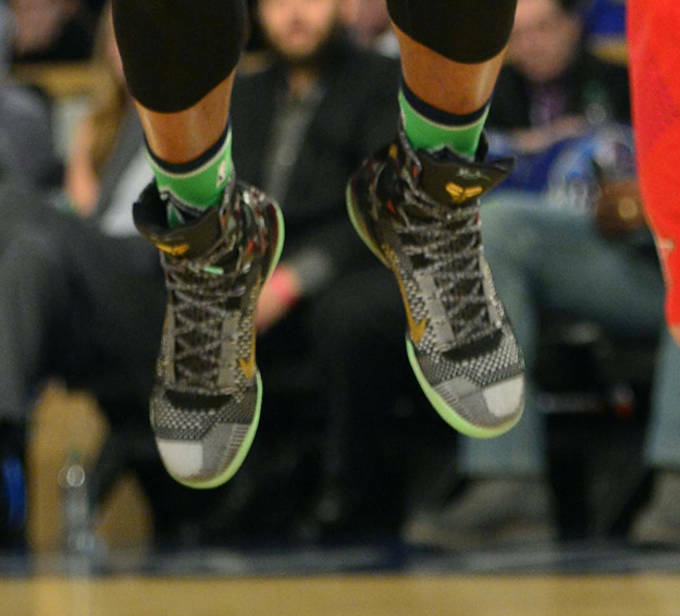 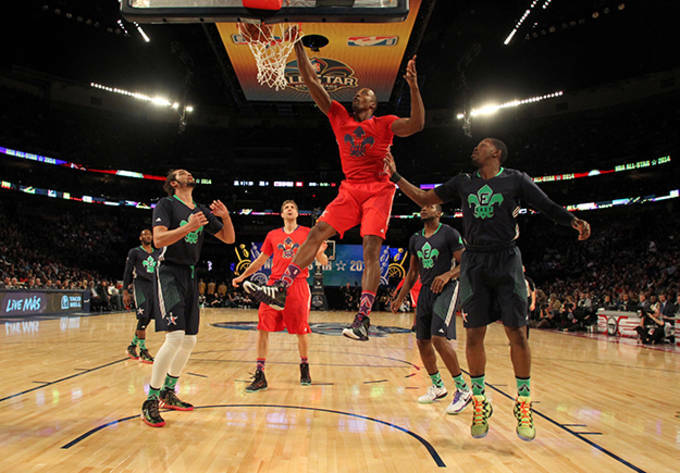 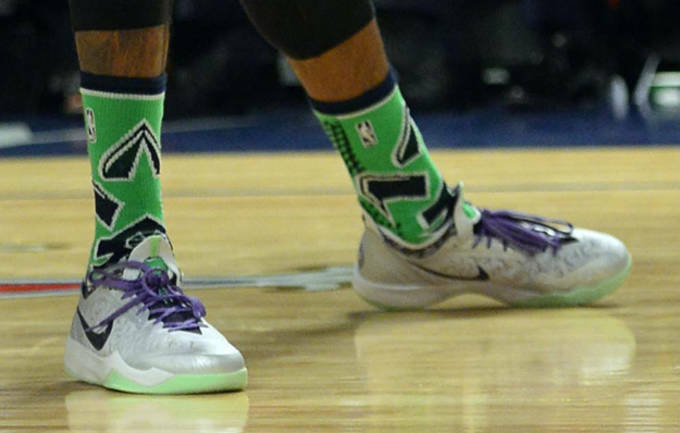 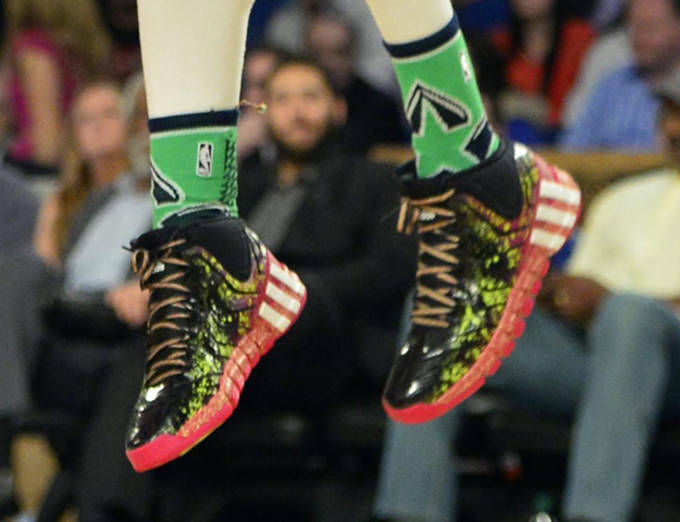 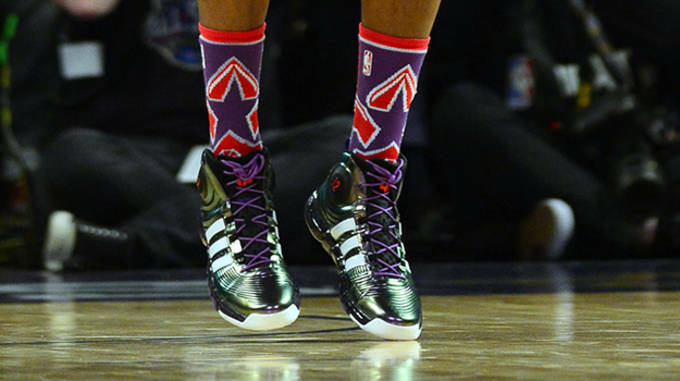 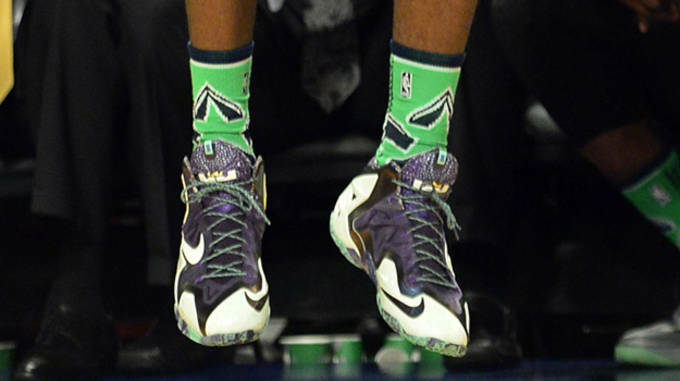 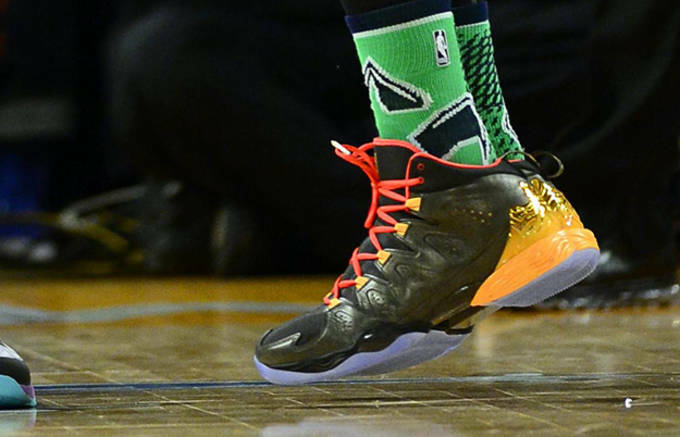 He was supported in the backcourt by Dwyane Wade who was wearing his signature Li-Ning Way of Wade 2.0 "All-Star." 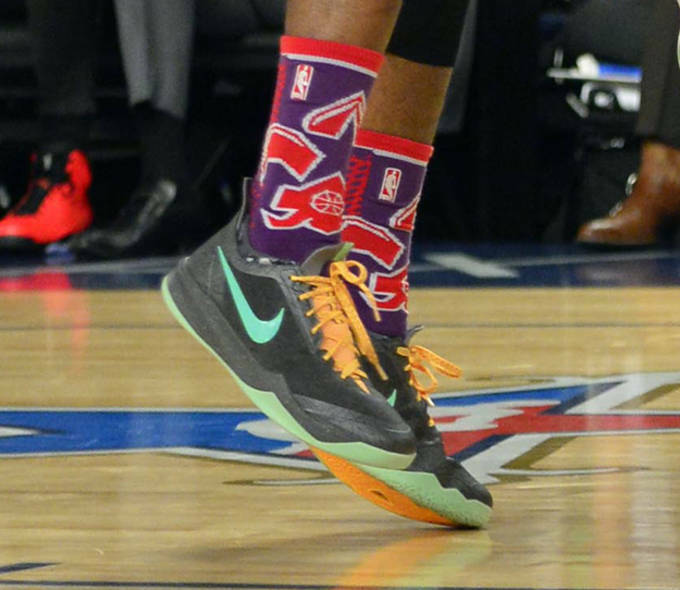 In the front court, Paul George of the Indiana Pacers wore an All-Star PE of the Nike Zoom Crusader, LeBron James of the Heat wore the Nike LeBron XI "All-Star Gumbo League," and Carmelo Anthony wore the Jordan Melo M10 "Crescent City." 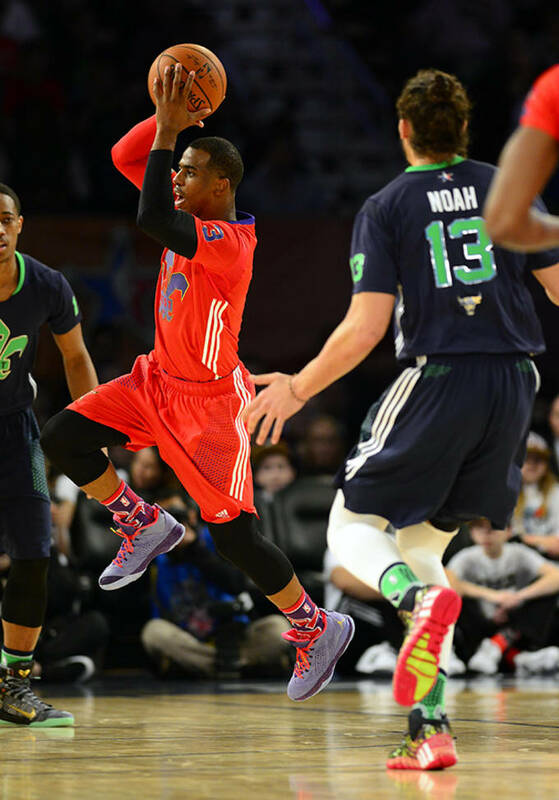 The Western Conference starting lineup put together some impressive plays in the losing effort. 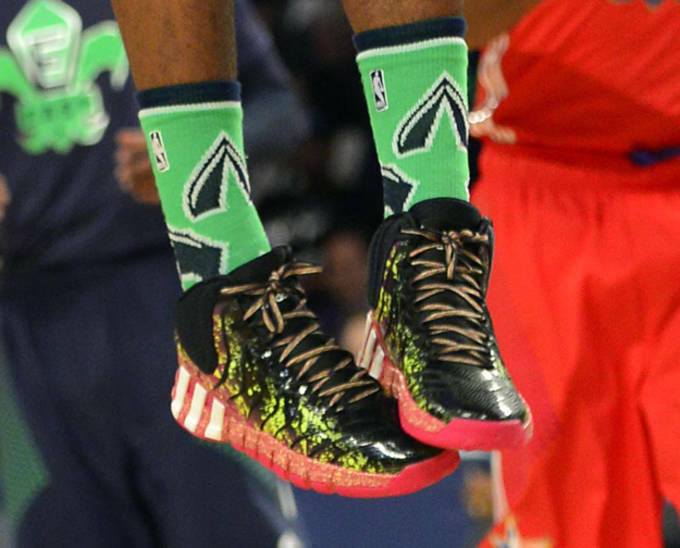 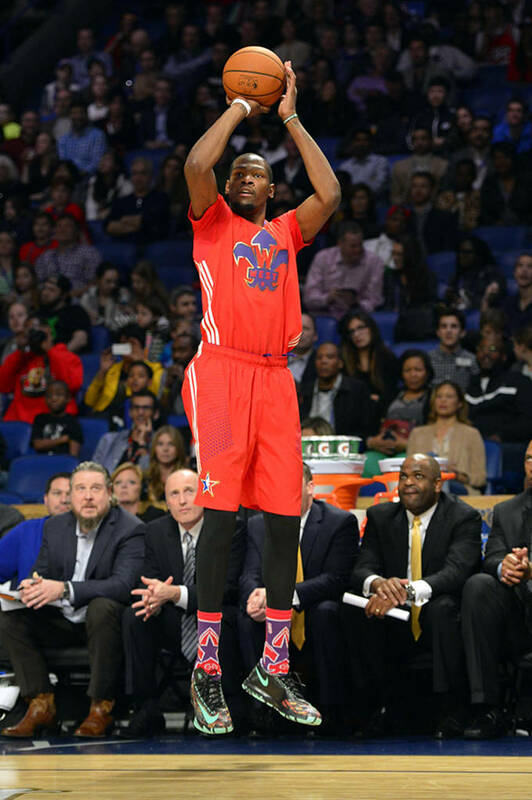 Kevin Durant led his squad with the Nike Zoom KD VI "All-Star Gumbo League," Blake Griffin of the Clippers wore the Jordan Super.Fly 2 "Crescent City," and Kevin Love wore a PE of the 361 Degrees Kevin Love 3.0. 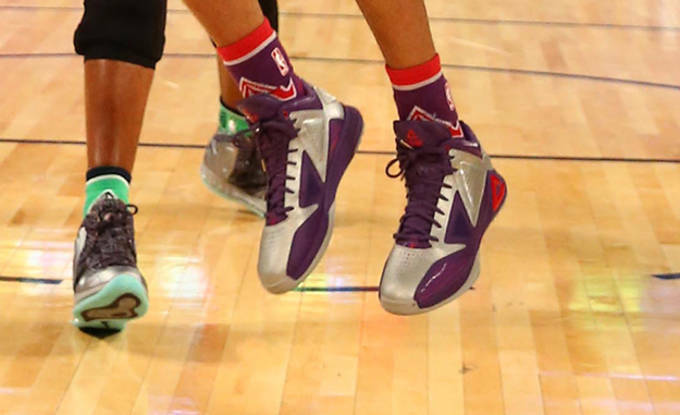 In the backcourt, Stephen Curry manned the point guard position in the Under Armour Anatomix Spawn "All-Star," and James Harden wore the Nike Zoom Crusader "All-Star." 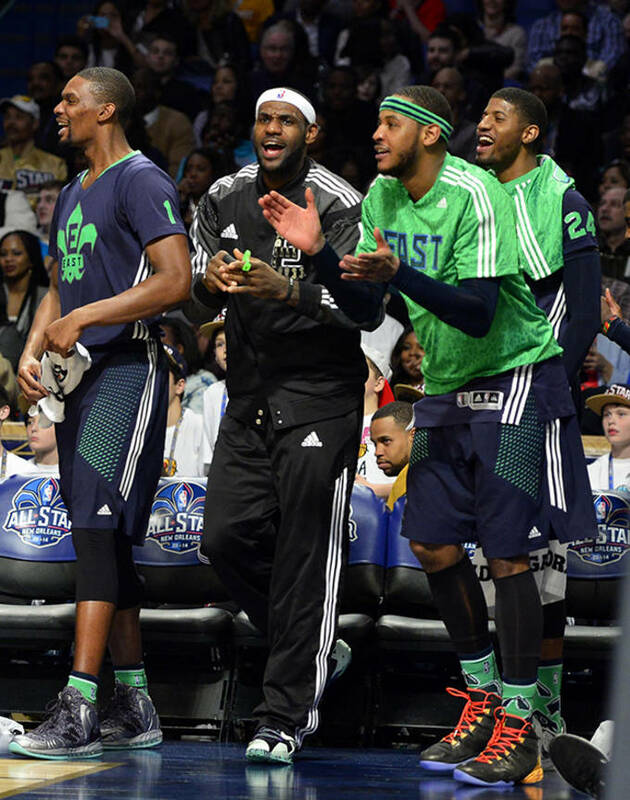 The Eastern Conference All-Stars bench came through in the second half. 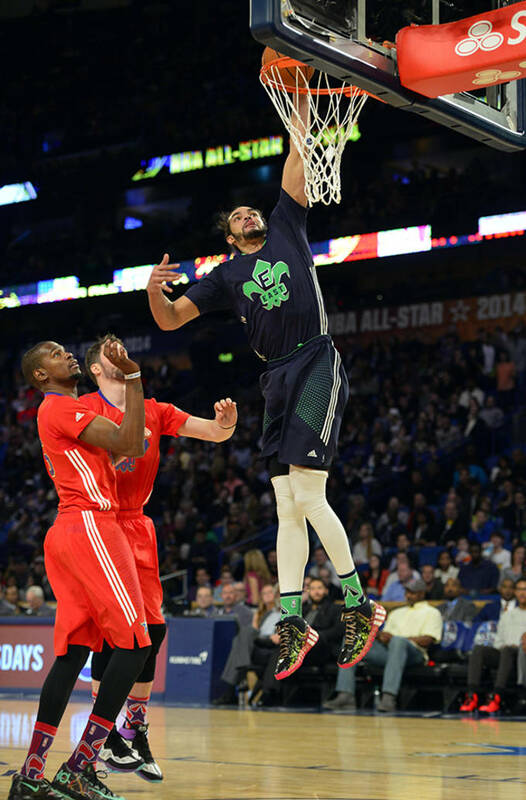 Centers Roy Hibbert and Joakim Noah&apos;s played well. 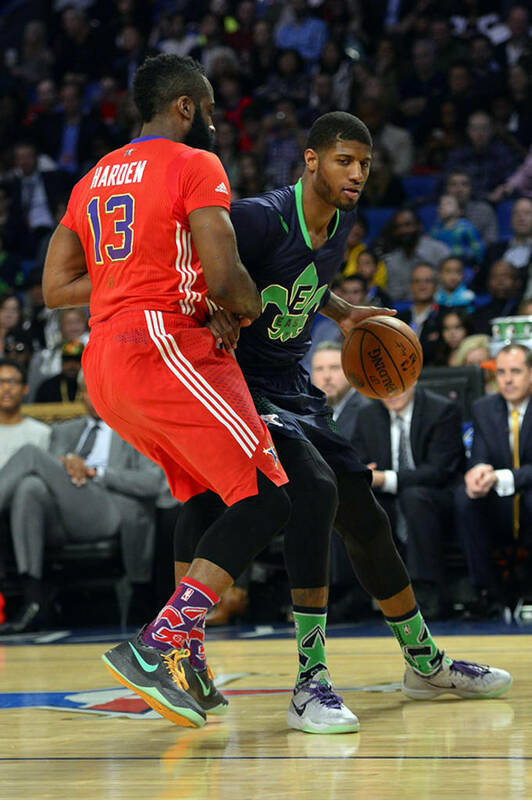 Hibbert wore an All-Star PE of the Nike Zoom Hyperfuse 2013, and Noah wore the adidas Crazyquick 2. 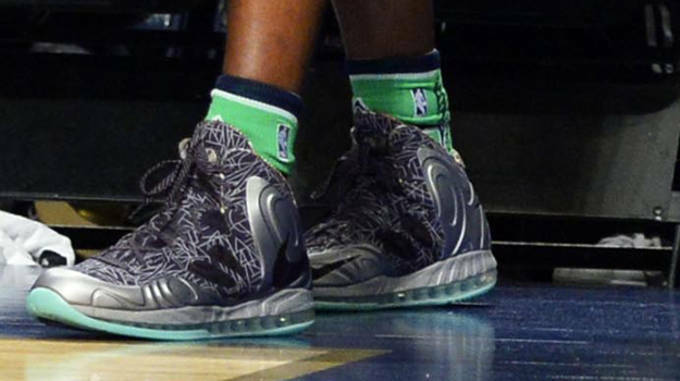 In other big man news, Hawks forward Paul Millsap wore an All-Star PE of the Nike Zoom Crusader and Chris Bosh wore an All-Star PE of the Nike Air Max Hyperposite. 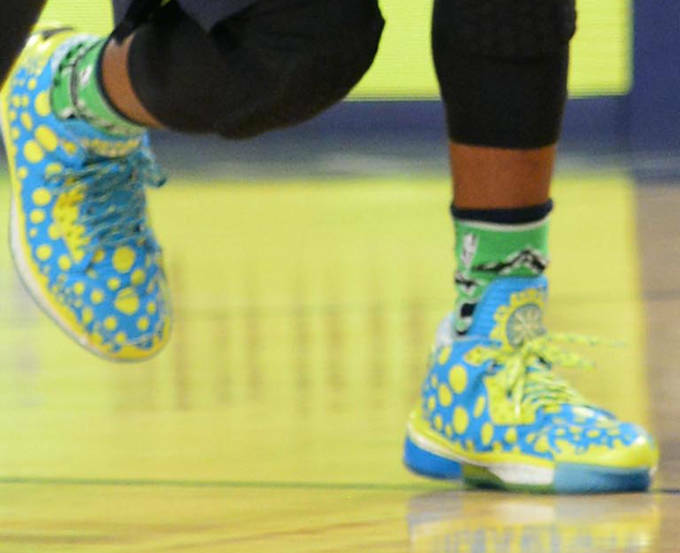 In the backcourt, John Wall also wore the Crazyquick 2. 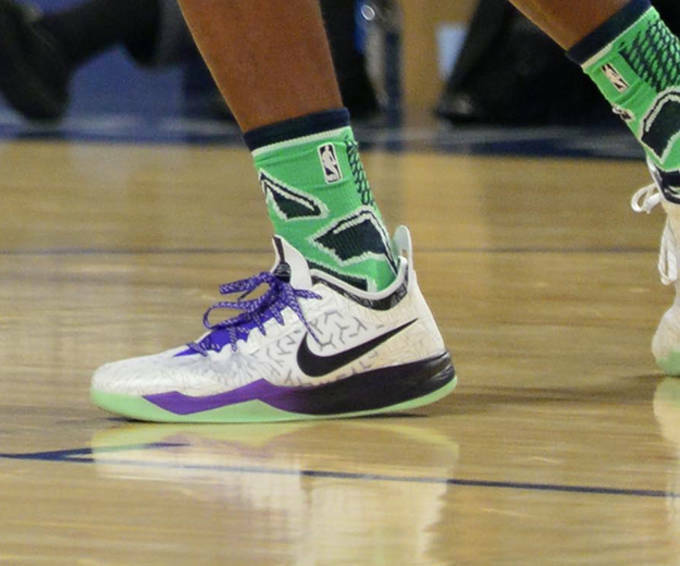 DeMar DeRozan was in the Nike Kobe 9 Elite "All-Star Gumbo League," and Joe Johnson wore the Air Jordan XX8 SE "Crescent City." 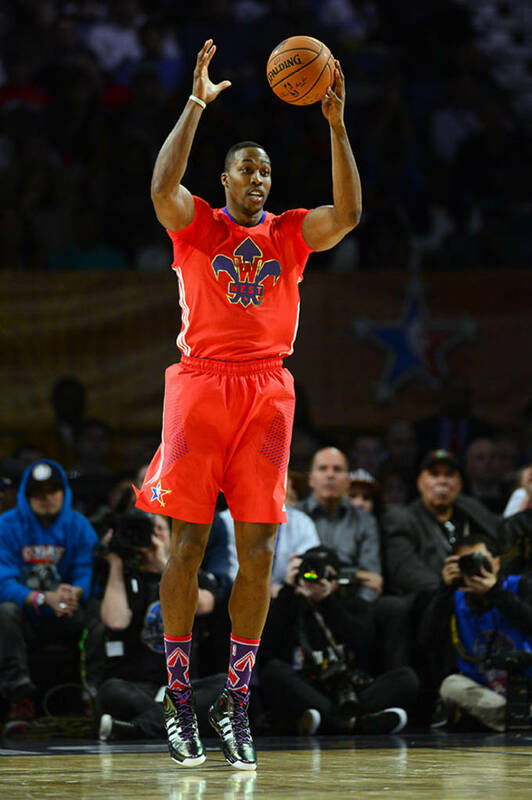 The Western Conference bench featured some veterans led by Dwight Howard in the adidas 4 "All-Star." 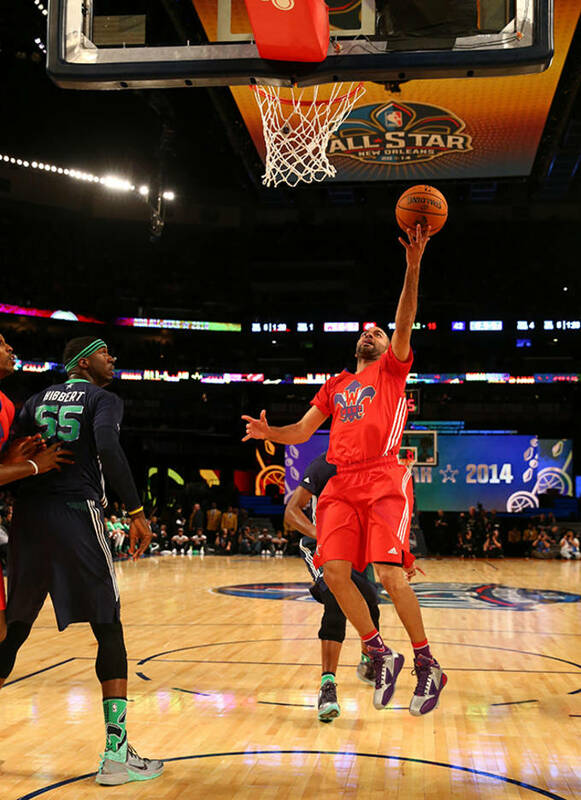 Tony Parker of the San Antonio Spurs was in a PEAK All-Star PE, and Dirk Nowitzki of the Dallas Mavericks wore an All-Star PE of the Nike Hyperdunk 2013. 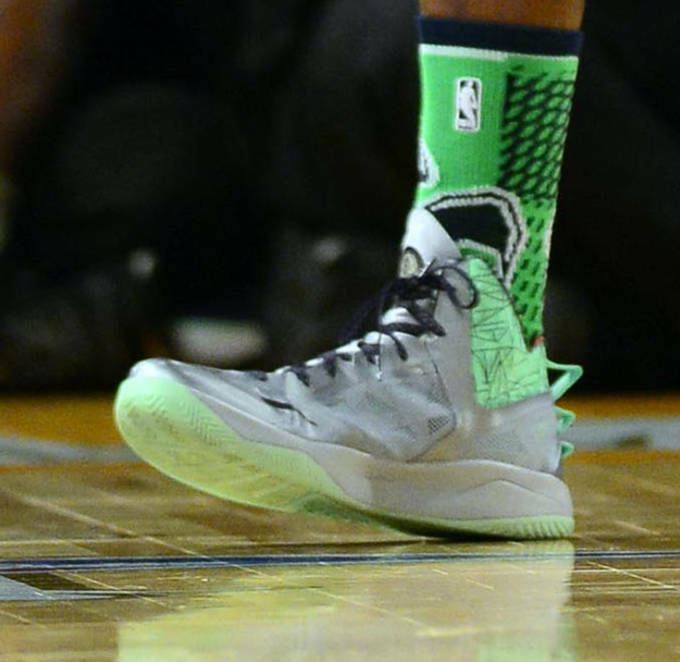 Among the young bucks, Damian Lillard wore the brand new adidas Crazyquick 2. 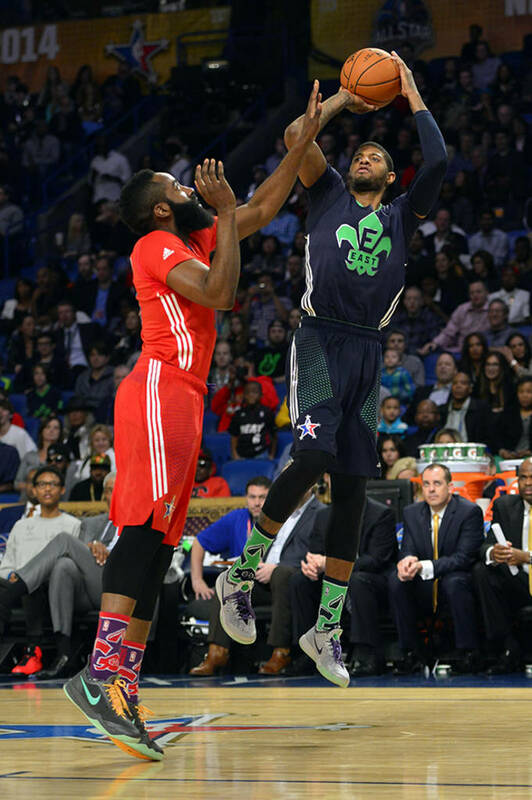 Forwards LaMarcus Aldridge and Anthony Davis both wore All-Star PEs of the Nike Air Max Hyperposite. 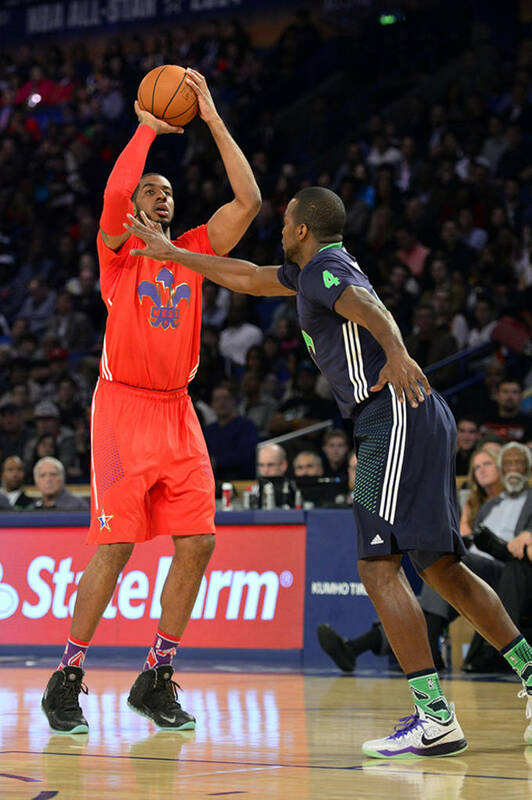 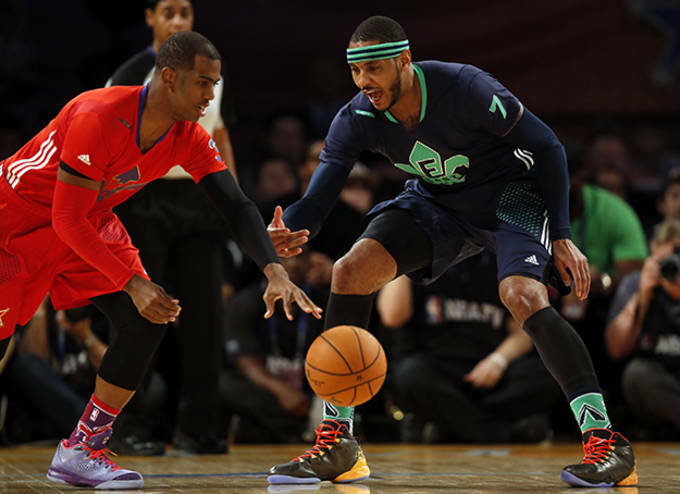 To round out the roster, Clippers guard Chris Paul wore his signature Jordan CP3.VII "Crescent City" shoes.